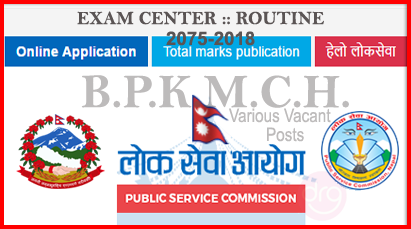 On May 30, 2018 [16 Jestha, 2075], Public Service Commission (Lok Sewa Aayog) publishes the Examination Schedule and Centers for the written examination in the various vacant post of B.P. Koirala Memorial Cancer Hospital. 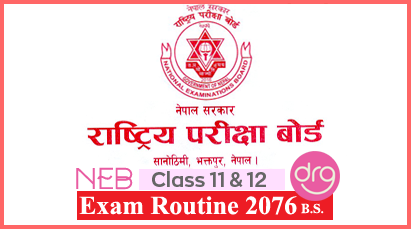 The examination will be held on 25 July, 2018 [9 Shrawan, 2075]. Exam Center for the various vacant posts of B.P. Koirala Memorial Cancer Hospital is Birendra Multiple Campus, Bharatpur, Chitwan. See the notice image below - Exam Schedule for the various posts of B.P. Koirala Memorial Cancer Hospital, published by Lok Sewa Aayog (PSC). 0 Response to "Exam Schedule and Centers for the Various Vacant Posts B.P. Koirala Memorial Cancer Hospital | Lok Sewa Aayog"